the different threads of my life I was following seemed to to be out of my reach. all those details, plans, momentum, lost in the ether. still important things happened, but my clarity and direction seemed to be flung wide open. but I found my way back to this. very soothing, very easy, very intuitive. 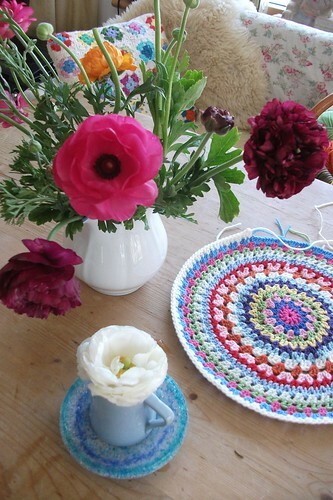 from the patterns on the beautiful moroccan tiles, to the delicate crochet and mandala artwork. and can help us become more focused when we feel scattered. sometimes i fear i won't find my way back to all my threads and that somehow i'll have to begin again. and for some reason that's really worrying! I can start to resemble a hamster on a wheel, trying to keep up with them all. sometimes surrender is the only option! i'm sure there will be many more! That's very lovely Heather, I love the pink hearts ... I'd love to try and make one too, but it looks rather complicated! I love it..cant wait to see it as a cushion. Would love to learn how to do this! I love all your reasonings developed while making a beautiful mandala!!!!! Ying and Yang, my dear!!!! Hi There, Clearly you have a project that will help you find focus again!!! Sometimes, without realising it,we just need to sit down and create something!! !And the mind will settle as it focuses on a project!!! Have a fab and happy weekend!!! It's fabulous The colours are so pretty. 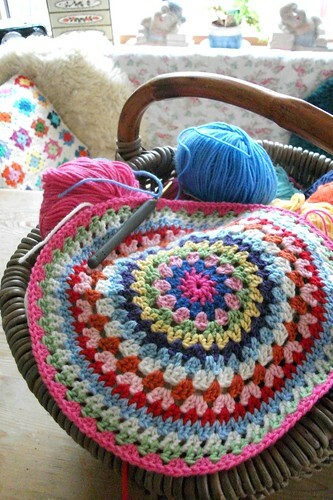 I love looking at crocheted goodies, there's something so peaceful and cozy about them. I love your beautiful mandala Heather, you've done such an exquisite job of it. And you have a wonderful way with words - very eloquent - have you tried your hand at poetry? You definitely have inspired me to paint a Mandala! Need to find out more about them. 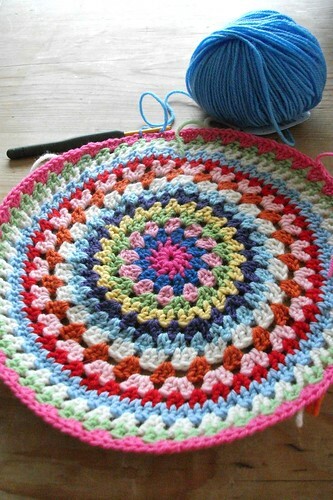 Love your colorful, crocheted one! Thanks for the continued inspiration, dear Heather! 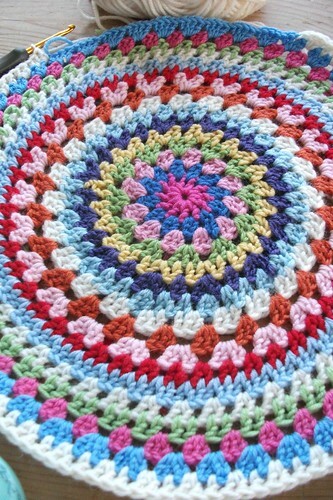 Dear Heather, i am loving your mandala already! How true are the things you say, sometimes there is so much around us to inspire us. But sometimes i feel its a bit too much, then i shut off my internet and take a stroll, look at nature and that gives me so much of a breather !! Love reading your thoughts as it inspires me to think beyond the surface ! I have always loved mandalas. I grew up with a hunger to learn everything about our Native American tribes. A circle is a very important element in their beliefs. I too have always wanted to buy one of the Mandela coloring books and one day might. I have a lot on my plate right now, but have a cross stitch Mandela project set aside for when I have some time on my hands.